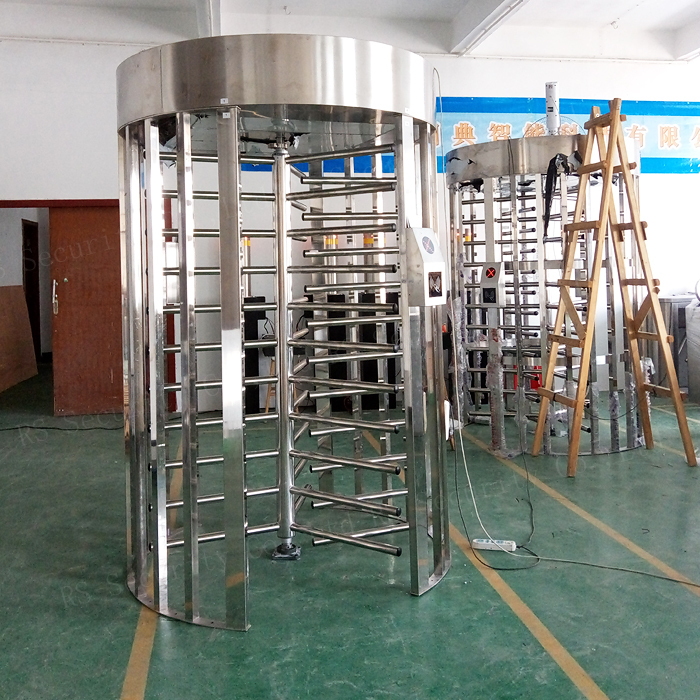 The full-height Turnstile, is a larger version of the turnstile, commonly 7-foot (2.1 m) high, similar in operation to a revolving door, which eliminates the possibility (inherent in the waist-high style) of anyone jumping over the turnstile. It is also known as an "iron maiden", after the torture device of the same name, or "high-wheel". It is sometimes called a "Rotogate", especially in Chicago, where it is used at unstaffed exits of Chicago 'L' stations, and is also used at many New York City Subway stations. In Europe, however, "Rotogate" refers to a different kind of Gate that is not a turnstile. There are two types of Full Height Turnstiles, High Entrance/Exit Turnstile (RS Security) and Exit-Only. 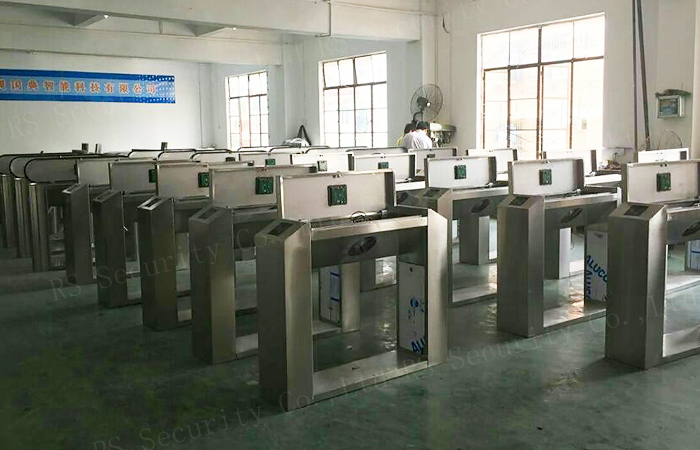 The difference between them is that RS Security Turnstiles can rotate in both directions thus allowing two-way traffic, while exit-only turnstiles can only rotate in one direction thus allowing one-way traffic. 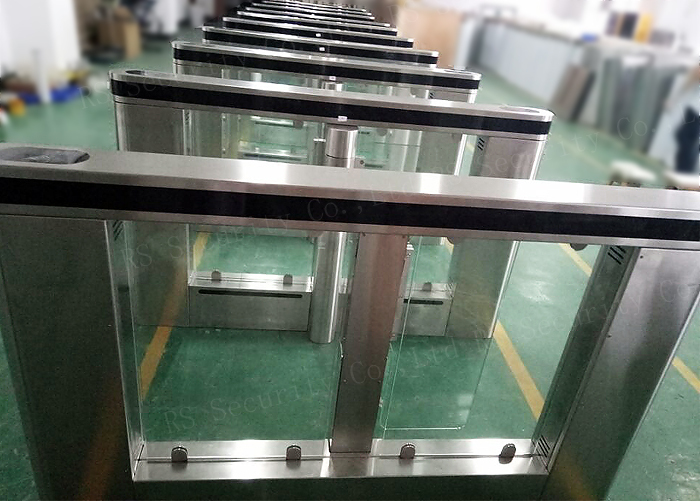 Exit-only turnstiles are commonly used in mass transit stations to allow passengers to exit the system without interfering with those entering.Thus Turnstile entry is solution for stadiums and all recreational facilities which offers optimal protection against unauthorized access. 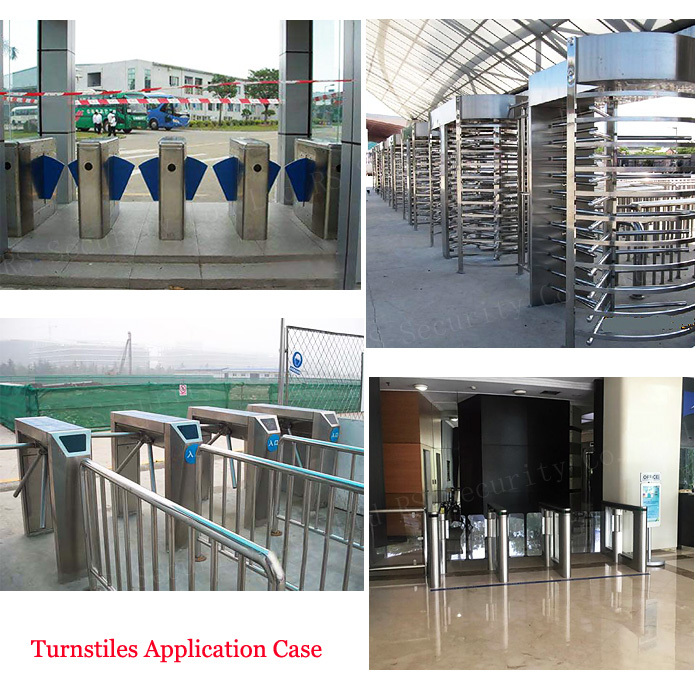 Looking for ideal Dual Full Height Turnstile Manufacturer & supplier ? We have a wide selection at great prices to help you get creative. 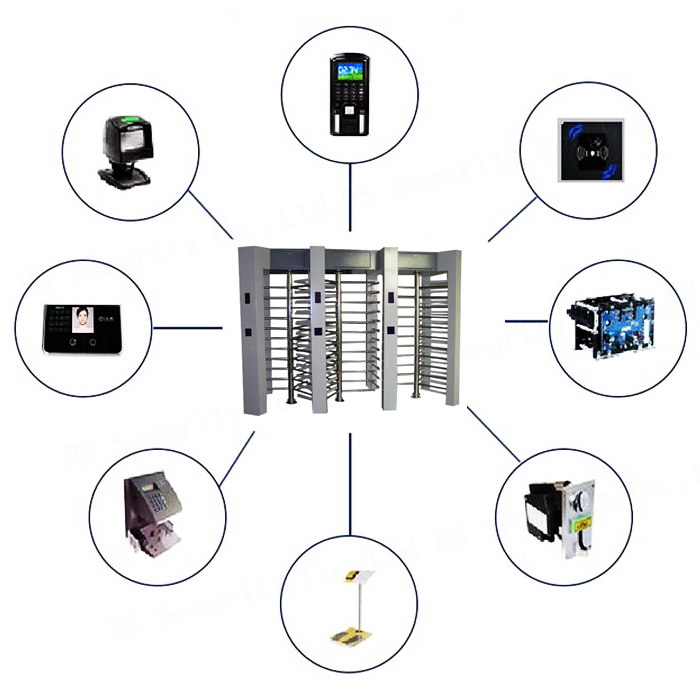 All the Full Height Turnstiles Gate are quality guaranteed. 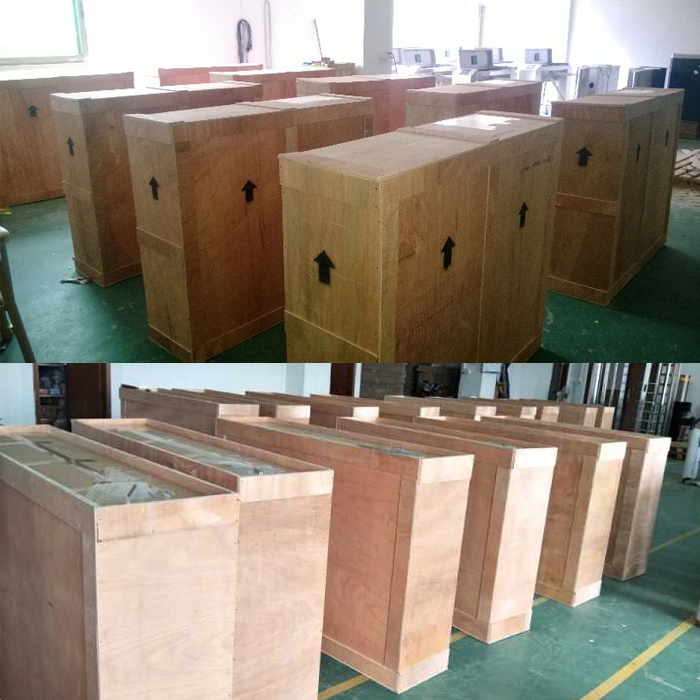 We are China Origin Factory of Full Height Turnstiles Doors. If you have any question, please feel free to contact us.